As an expert in her industry, Ashley shares her professional opinions and insider access, making her one of the most unique voices in beauty content today. This month I decided to begin writing product reviews and I’m kicking things off with Shampoos + Conditioners. What happens when you put a jeweler, an interior designer, an architect, and a hair colorist in the same room? I interviewed my friend, hair colorist Cara Craig, for the story behind her new innovative accessories line. I asked the mentors who trained me- the busy celebrity hair stylists that they are- for their best tips, tricks, and secret product finds that are accessible at any local drug store. When Nellie Diamond launched her luxury lifestyle brand, Hill House Home, we decided to do something super fun with her ALREADY PERFECTLY LONG LUSCIOUS locks! Garrett is the mentor I turn to who doesn't realize he's the mentor I turn to. This guy is always fueling me with inspiration and the desire to tell a story. So naturally, I shared his. I asked my favorite colorists for advice on perfecting those golden locks without frying them or interrupting our sunbaths. After assisting Bok Hee's team for this NYFW SS16 show, I share a quick tutorial on how it was created. 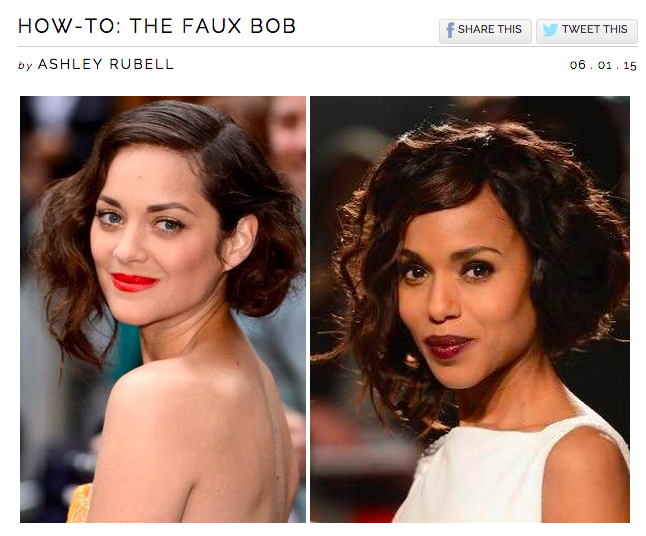 There IS an approachable option for those of us who are scared of commitment (to bangs). Brian Buenaventura shows us how to sport a proper faux bang in high fashion. 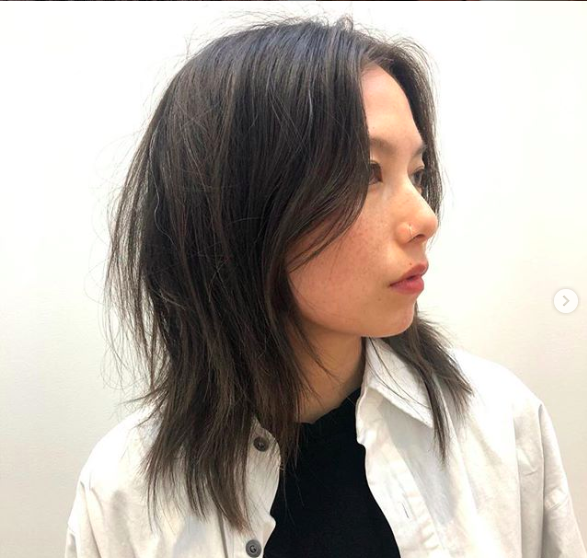 I used to work with Jenda when I was assisting at Ramirez Tran in LA and when I saw this sleek, chic ponytail she created for Elle, I had to ask her to share how she did it! Before following in the footsteps of trend setting celebs like Rhianna and MIley Cyrus, make sure you've considered a couple things first. She was the one who introduced me to freelancing as a hairstylist, and has quickly become one of my dearest friends. She is inspiring, generous, humble, and a very talented hair stylist. Conquer the heat of the summer sun with these unique ideas on how to have fun with your hair style while still keeping it up. It’s not as if we want what we don’t have; a lot of us want what we do have! When it comes to maintaining natural texture, all you need is an open mind and an open hand to work in some product. Learn which wet and dry texture sprays are best for your hair type! The artists I know over at NYC's Suite Caroline Salon showcased a display of their collective creativity which is elevating hair color to be accessible rather than alternative. After assisting Adir with Maria's hair for the Met, I broke down this complex-looking ponytail into a simple 5 step tutorial so you could re-create it yourself! Inspiration comes from everywhere, ladies. Let's hear it for the boys (and the tomboys). My friend and fellow hair stylist, Aussie babe Michelle Garwood, invited me into her salon for a trim and I loved it so much I just had to share the experience! I used to assist Neil Grupp who always preached the phrase "grip or slip" when it came to his hair products. So I used the phrase, along with his insight, to share some tips on the matter. The holidays: It's a time of love, a time of cheer, and a time to catch up on your reading in search of inspiration for the new year ahead! As one of the many hair stylists out there that has influenced my own career path, I decided to interview Lacy and share her insights on living a balanced life, and on all things hair of course. With a brand that’s named after Good Hair Days, it’s no surprise ghd chose Olivia Culpo as their first celebrity brand ambassador. My favorite gold items to keep your kits elegant and your manes luxurious. I had a chance to chat with Guido about the process of this iconic shoot and the successes that come with time, when you learn to trust yourself and the people you work with. Look, anyone who sits down for 2 hours every work day to have their head cornrowed prior to a gloriously platinum braided wig deserves some recognition, ok? 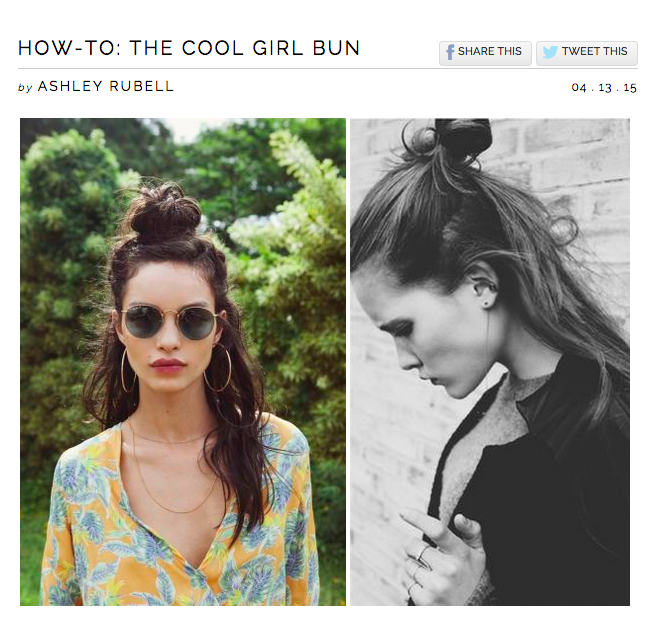 Learn this easy to do hairstyle that I created for Emily at Into The Gloss's Top Shelf Live! A great trick to have up your sleeve for any occasion. To kick off the new year, I took us back to the basics. Get a fresh start by freshening up your need-to-know hair skills. When knots become the new braids, they're naturally the best accent to your ponytail. This girl helped me find the courage to leave LA and pursue my own dreams by making the move to NY. She's just chalk full of inspo. The more I've had to travel for work, the smarter I've gotten with my kit. Every season I work fashion week, I'm guaranteed to loose a majority of my no-crease clips due to the chaos of getting models ready, so I decided it'd be best to start making them myself and saving my dollars. The smallest details can have the biggest impact of difference. I worked with Marco during Bridal Fashion Week one year and I remember thinking, this guy is involved in all facets - salon, freelance, and education - I've got to learn more about him! 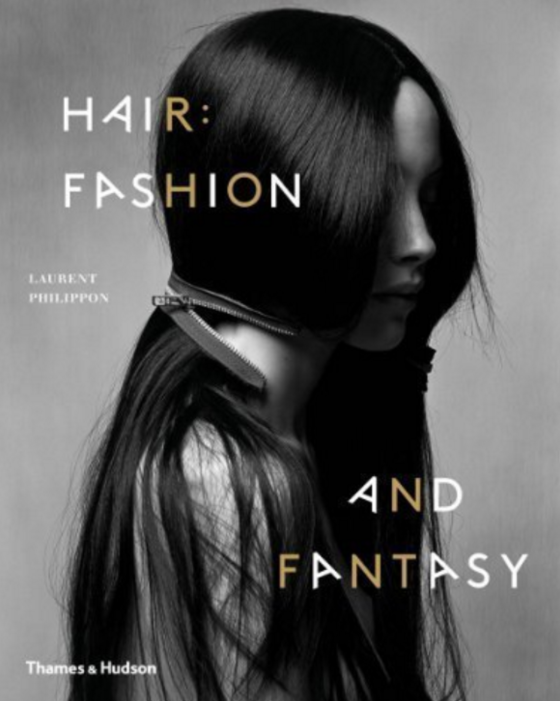 Predictions of which manes to keep on our trend radar for the year ahead.